Thirty years ago, a deal between the provincial government and a private developer earmarked six large lots in Yaletown for affordable housing. Several weeks ago, the city announced affordable housing would be built on just three of the lots. Two business tycoons waged a little-known and vicious battle in and out of B.C. court over six empty Yaletown lots, assessed at a pittance because for three decades they have been designated for affordable housing. The high-stakes feud quietly escalated in B.C. courtrooms over several years, pulling in heirs, related companies and executives from the two sides. It dragged some reputations through the mud and, at times, left Vancouver city officials hanging in the middle. For 30 years, the lots on the north shore of False Creek have lain dormant. But last month, the city announced a deal with Concord Pacific to build 650 affordable units on three of the properties while allowing the developer to build market housing on the other three. The city will not say how much money it will receive in the deal or why it will not proceed with the original vision — promised in 1988 when Concord bought the Expo 86 grounds — to create a mixed-income community with low-rent homes on all six lots. The acrimonious lawsuit between the current and former owners of Concord Pacific, settled out of court in 2013, provides insight into the behind-the-scenes history of these lots: how a big-money fight over ownership potentially delayed progress, and how the lots became bargaining chips at a time when both construction and real estate prices were soaring. Until now, the contents of the lawsuit have been largely unknown. However, a tip directed Postmedia to boxes of court documents, which provide a glimpse into why these six properties, in a prime area between the north ends of the Cambie and Granville Street bridges, were worth much more than their combined 2018 assessed value of just over $500,000 — a pennies-on-the-dollar evaluation based on their zoning for affordable housing. Developers clearly thought the lots were worth fighting for because they could one day hold luxury condos with million-dollar views. “There has always been a sense that with these social housing sites, not all of them would get developed as social housing and that some would be converted to market. And so that’s why (the developers) were interested — because there’s a huge profit potential because these are nice sites at a great location,” said Cameron Gray, a former City of Vancouver director of housing. Gray was an expert witness in the court case, in which he concluded in 2012 that without senior government funding for low-cost units, “it is likely that the properties will be among the first (affordable housing) sites considered for alternative development” in Vancouver. Then-mayor Gregor Robertson characterized the new deal, announced Nov 2 on his third-last day in office after a decade in power, as a “historic agreement” because the city will get more than the 600 affordable housing units promised, but on just three of the lots. However, Gray and Michael Geller, a veteran architect and planner, say there are several unanswered questions about this agreement. Geller said the political climate has changed significantly in recent years, potentially freeing up senior government money for affordable housing for the first time in decades. “Given now that there is much more money coming forth from the province and the federal government, I couldn’t understand why this deal was done,” Geller said this week. City hall would not provide someone to interview for this story. In a written statement, it said this deal was the best option to get low-cost housing built in the pricey neighbourhood. Matt Meehan, Concord’s senior vice-president of planning, said in an email the city will benefit from the new deal because his company will pay the value of converting the three lots from affordable housing to market housing, although he didn’t disclose the amount. “The court case you cite regarding the six Concord Pacific non-market housing sites started a decade ago by former owners who were attempting to acquire these sites at low price. The case documents may contain old assumptions regarding what the city may agree to that is different from today’s framework agreement where the city will capture all the value of conversion,” said Meehan. The lawsuit was launched in 2010 as NMH Holdings Ltd. vs. Crestmark Developments Ltd. It pitted the related companies of the Hui family’s Vancouver-based Concord Pacific, one of the largest real estate developers in Canada, against Hong Kong-listed Hutchison Whampoa, a US$50-billion company headed by Li Ka-shing and his son Victor Li with worldwide holdings in telecom, real estate, ports, retail, infrastructure and energy. Hutchison, now part of the company CK Hutchison Holdings Ltd., did not respond to interview requests. The history of these two companies began with a friendship that dissolved during an expensive legal battle. 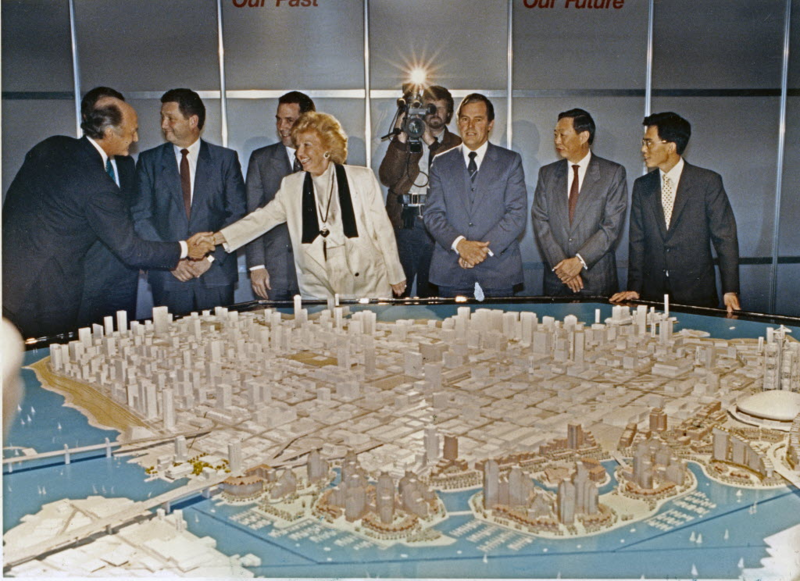 In 1988, when the province sold more than 80 hectares of the Expo lands to Concord Pacific, billionaire Li Ka-shing was the majority owner. About a dozen lots were set aside for affordable housing, which the city had the option to buy from Concord at below market value whenever senior governments provided construction money. Homes for low-income residents were built on five of these lots, but in 1994 the federal government stopped funding affordable housing and the six lots at the centre of the lawsuit have remained vacant. The sale included 686,595 square feet of buildable floor area, putting the price at about $33 a square foot. In 2001, the B.C. NDP lost power and city hall appeared to lose its last chance to find senior government dollars for affordable housing. Both the court case and industry insiders suggest those lots then became “bargaining chips” between developers wanting to get more density for market units and a city keen to find alternative methods to get affordable housing built. Included in the court filings is one example of this: A May 2005 letter from then-deputy city manager Brent MacGregor to Hui, rejecting a proposal from Concord, which also owns the neighbouring Northeast False Creek lands. Part of Concord’s proposal, MacGregor wrote, was to convert an affordable housing lot and commercial areas in the Northeast development into condos, and in exchange the city would get three of the six Yaletown lots along with $1.5 million in amenities and other unspecified money for construction. MacGregor said the city was concerned about “diminishing” the non-market housing in the area, and told Concord to sweeten the pot. “The new residential density will convey tens of millions of dollars in value to Concord and the city would seek a much higher allocation of public benefits,” he wrote. The city sent Hui a counter proposal: It wanted all six Yaletown lots, plus an additional $8 million. How this negotiation ended is unclear, but there were more potential deals in the works. One of the 12 lots pegged for affordable housing in the original 1988 sales agreement — known simply as 7B — the city allowed Concord to convert for market housing. At the time of 7B’s conversion in 2009, the estimated value of the land was $42.64 a square foot for affordable housing, $70 for market housing. Concord paid the city $5.1 million to cover the difference, which the city used for affordable housing elsewhere. It was this transaction that triggered the legal feud. At the heart of the court fight was a subsidiary of Li’s company, called Warmglow, established for the purpose of lending $9.5 million to a company owned by Hui so it could buy out a third minority owner of the affordable housing lots when Hui purchased Concord in 1999. Hui understood he would repay this money to Hutchison as the lots were sold, either to the city or to Concord if the city waived its option to purchase. But Hutchison disagreed with this interpretation, arguing in the lawsuit that the $9.5-million Warmglow transaction represented a down payment of about $16 a square foot (out of a total of $33 a square foot) for the six lots. Not only did Hutchison have ownership, it argued, but also a first right of refusal to buy back the six lots from Concord by paying the balance of $17 a square foot. In July 2010, Hutchison informed Concord it wanted to buy back the six lots. Hui alleges in the court documents that he was blindsided by this request. 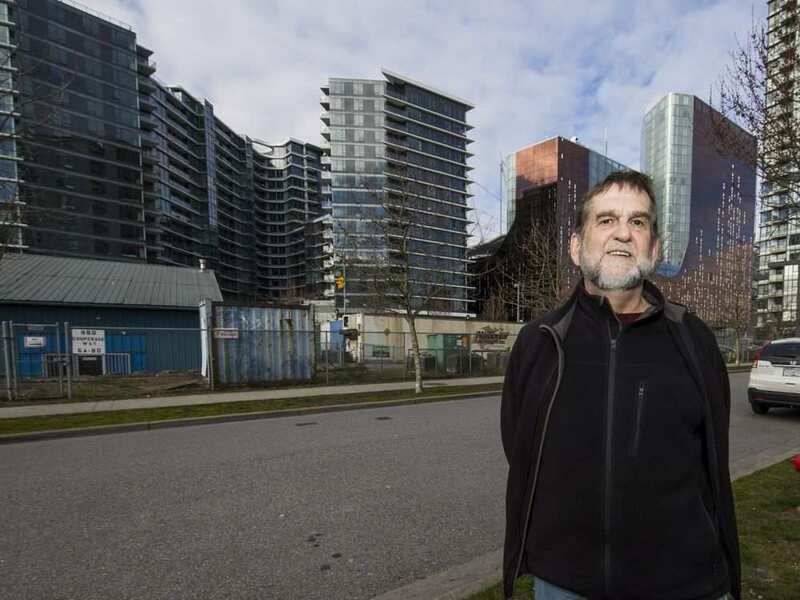 He argued the six affordable housing lots were “integral” to his multimillion-dollar development of Concord Pacific Place. “As a consequence of this interference, the process of rezoning, developing and selling the remaining Concord Pacific Place lands, including the negotiations with the city and the complex ongoing and long-term relationship between (Concord) and the city, has been and continues to be hindered, delayed and damaged,” the documents say. But Hui didn’t stop there. He accused several people, including a former high-ranking colleague who now works for Li, of breaches of duty and corruption. A 2011 B.C. Supreme Court ruling on a procedural matter in the case said the Li side was pressing for an expedited conclusion because these executives wanted to clear their names. The judgment also said the Li family felt “urgency” to conclude the lawsuit based on the anticipation that city hall might sell more of the lots for lucrative market housing. In the meantime, both companies were contacting the city, each insisting it was the owner of the lots, putting municipal planners in the middle of the spat — and presumably delaying progress on the lots until the courts decided who owned them. Activist John Shayley by one of the empty Yaletown lots in 2018. The highest level of executives at Hutchison were plugged into discussions about these lots. 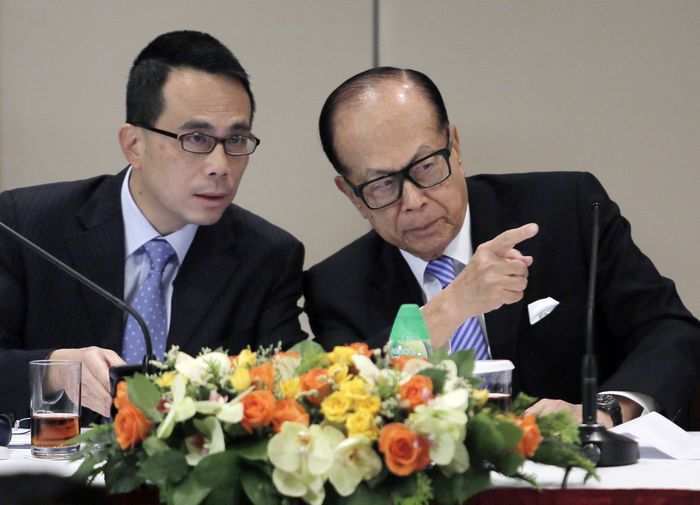 They include Canadian lawyer Frank Sixt, who became group finance director, and Canning Fok, group managing director, who is known as Li Ka-shing’s right-hand man. There is also a letter to Negrin from the city’s then-director of real estate services, Michael Flannigan, who says the “deal structure” used to convert the zoning of Lot 7B from affordable to market housing “would be an excellent model for moving forward in 2010/11” for the other six sites. 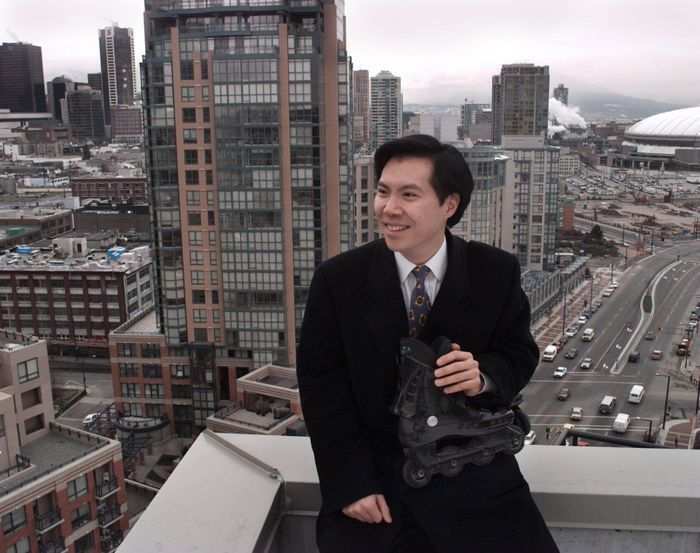 In September 2010, as Victor Li was preparing to travel to Vancouver for a meeting with Robertson, an internal Hutchison briefing report provided three scenarios for the six lots. In the “best case,” all six sites would be developed as market housing for a before-tax profit of $132 million. The trial began hearing testimony in September 2012, but by the next year the two sides appear to have reached a private settlement. All that is known today is that Hui’s Concord is the official owner of the lots, and that this fall’s deal with the city appears to give the developer what was being fought over in the lawsuit: The ability to build market housing on some of the sites. City hall is left with three lots where the new NDP provincial government will fund 650 affordable housing units, half of them with two or more bedrooms for families. Some observers, such as former city planner Larry Beasley, argue the plan is a good one for the city. “Now, there will be prime sites in the very core of the city for low-income and middle-income residents,” said Beasley. Today, he said, there is more acceptance of affordable housing projects with greater density, making it possible to build the same number of promised units on just three lots rather than six. Beasley was involved in assessing the six sites to see which ones would be better suited to take on more density for affordable housing and which ones might be, for example, too close to other buildings. But if officials believed Vancouver needed 600 more affordable homes in Yaletown in 1988, surely the number needed today — as real estate prices have soared and average families can’t afford to live in the city — is much higher. The opportunity to build twice as many affordable units across all six lots is now lost. 2018: Who gets the best lots? Real estate marketer Bob Rennie took a stab at estimating what market housing units might sell for on each of the lots in January 2010, at the request of Hutchison. In a letter included in the court documents, Rennie ranked the lot at 431 Beach Cres. the most valuable, with the potential to sell units at $750 a square foot. Next, in descending order, he listed 450 Pacific St., followed by 1502 Granville St. At the lowest end, he advised 1050 Expo Blvd. would draw $625 a square foot. In the recent deal, Concord will build market housing on the lots that Rennie ranked as first and third most valuable. Meanwhile, social housing will be built on the second most valuable site and on the two Rennie deemed the least. The sites Concord will develop into market units were originally zoned for a combined 314 affordable, large family apartments. The sites the city gets to keep were originally zoned for 284 smaller units for singles and seniors. “Through this agreement the city believes that this is the best possible option to deliver affordable housing to this area, as far more is now possible than would have been the case under previous zoning. The final details of the partnership are still being confirmed,” Gil Kelley, general manager of planning, urban design and sustainability, said in the city’s statement to Postmedia. 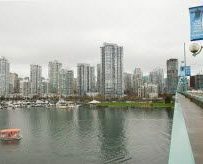 Kelley said an undisclosed amount of money from Concord Pacific will be invested in “the construction of more than 2,000 affordable homes across False Creek North,” but no other details were provided. No timeline for construction on the three affordable housing lots is available, but the city’s deal with Concord says rezoning of the sites is expected by late 2019, so presumably shovels would not be in the ground until 2020 at the earliest. Federal government invests $150 million for affordable housing in B.C.